Every woman dreams of a perfect, impeccable hairstyle. I have some useful tips in mind that are recommended for any type of hair. Women should focus more on hair care, not only on facial treatments. 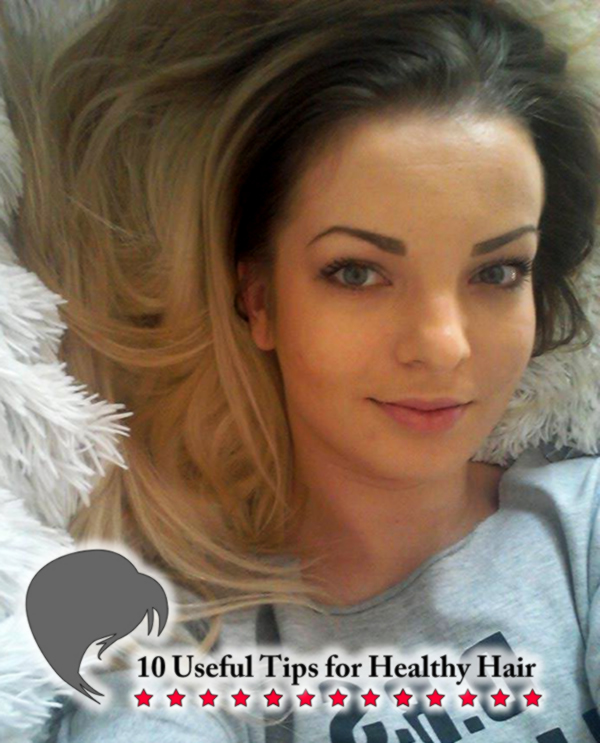 Any woman can get a voluminous hairstyle and glossy hair if she follows these easy tips. 1. One Important Ingredient – A lot of people underestimate the properties of coconut oil and I don’t see why. I always use coconut oil because it repairs my damaged hair. It is the best natural hair conditioner that a girl can use. 2. Yellow Fun – Using egg yolks is great. The egg yolk is rich in vitamins and proteins and if you mix it with lemon juice and olive oil you get the perfect hair mask ever. Your hair will be voluminous and it will stop from breaking. 3. Say No to Hairdryers – I may not always find the time to let my hair dry on its own, but I’m doing the best I can. I try to avoid using hairdryers because they damage my hair. I wrap my hair in a towel and let it dry on its own. 4. Try Using Beer – It’s a beauty tip that I totally adore. I open a bottle of beer and leave it open for a few hours. I pour the beer on my wet hair and let the beer sit for a few minutes. Then I just rinse my hair with water and I use some hair conditioner to wash away the smell of beer. 5. Drinking Water is Vital – I drink plenty of water because it is an important factor when it comes to hair care. I can avoid dry hair by simply drinking more water. 6. No more Frizzy Hair – Frizzy hair is so common during winter time. I use an avocado mask on wet hair and I let it sit for about an hour. Afterward, I rinse my hair with hot water. Avocado makes the hair shinier and it makes it stay put. 7. A Simple Hairstyling Technique – Before getting out of the shower, rinse your hair with cold water. It will give your hair a natural boost, making it seem more bouncy. 8. A Stylish Choice – I sometimes don’t have the time to wash my hair so I add some baby powder on my scalp, leave it there for a few minutes and then I brush it all away. It makes my hair look shiny and clean without too much effort. 9. The Croydon Facelift – The Croydon facelift is a sleek, tight hairstyle that will definitely add more hair volume to any type of hair. 10. Use Olive Oil More – Adding a tablespoon of olive oil to your shampoo will help if you have dry or damaged hair.